Where was the support and the drive for ratification of the Convention, and the further development of solutions to known problems? And what help did the shipowners and the recycling industry receive? There was some encouragement in Mr Kitak Lim’s speech (the Secretary General (SG) of IMO), and there was an update on the IMO SENSREC project in Bangladesh, phase II. Of course, we also got the calculation of recycling capacity telling us that the Convention is a long way from entering into force without ratification by a major ship recycling nation. Today we’ll look at what MEPC 73 did provide in more detail – and next week, in part 2 of this blog, we’ll discuss what’s needed. Marprof Environmental has sympathy for the SG, but begs to disagree. When a convention has not been ratified for almost 10 years, and when regional legislation is set to make a disruptive global precedent, IMO must find the time and it must lead. Marprof will continue to lobby IMO bodies and encourage them to make submissions to the next MEPC, such that the profile of ship recycling is properly raised, and the issues are addressed. This IMO-led project is focussed on ensuring that the ship recycling industry in Bangladesh can meet Hong Kong Convention requirements. After phase 1 of the project was successfully completed, phase II was signed in November 2017. Funded for US$1.1 million it intends to build capacity in Bangladesh, to deliver training packages, and work on storage, transportation and disposal of hazardous materials and wastes. A meeting in Dhaka is expected soon, and crucially, it is expected to include focus on downstream waste management. Both Robin and Jim have visited yards in Bangladesh and had some involvement in SENSREC in the past employment. It is noted that one yard in particular has made considerable investment resulting in amazing changes. However, without the existence of proper downstream waste management facilities in Bangladesh, ship recycling in the broadest sense – including Basel, Stockholm and other relevant legislation – cannot yet be properly compliant, nor certified as such. This complex calculation is now infinitely more so, and it is quite difficult to explain. Put simply it was always expected that China would ratify (with a capacity of 8 million GT), then if India, or Bangladesh ratified (12m, and 10m respectively), then the figure of world fleet (1.3Bn) at 40% (516m) requiring 3% ship recycling capacity = 15.5m, would easily be met. However, China is now refusing to import waste – so how can their figures be used in the calculation? And how can they ratify? India (12m) + Turkey (1.5m) = 13.5m = fail. India (12m) + Pakistan (6m) = 6m = 18m = pass. Here is the final complication – if a very large flag without ship recycling capability ratifies then 3% of the ratified fleet could be greater than 18m. As such, capacity is now a big issue. Stay tuned for part 2, next week…! Turkey and The Netherlands ratify the Hong Kong Convention – who’s next? ISO 30 000 for ship recycling facilities: Good or bad? Ship Recycling in Gadani – back to business or back to problems? Abdul Rab on Ship Recycling in Gadani – back to business or back to problems? 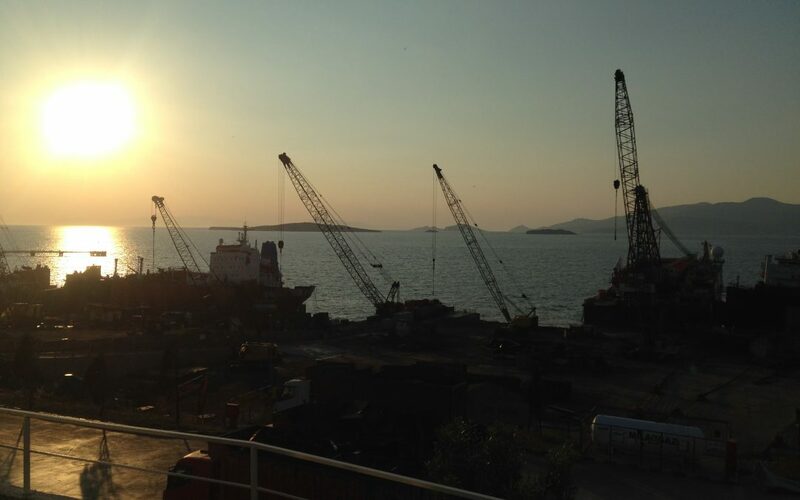 Arjun Banerjee on Ship Recycling in Gadani – back to business or back to problems? Marprof Ltd. | Marprof Environmental Ltd.